We have put together this kit to make it easy for you! The water pump on M96/M97 engines are known to fail, potentially causing blockage of the cooling circuit. 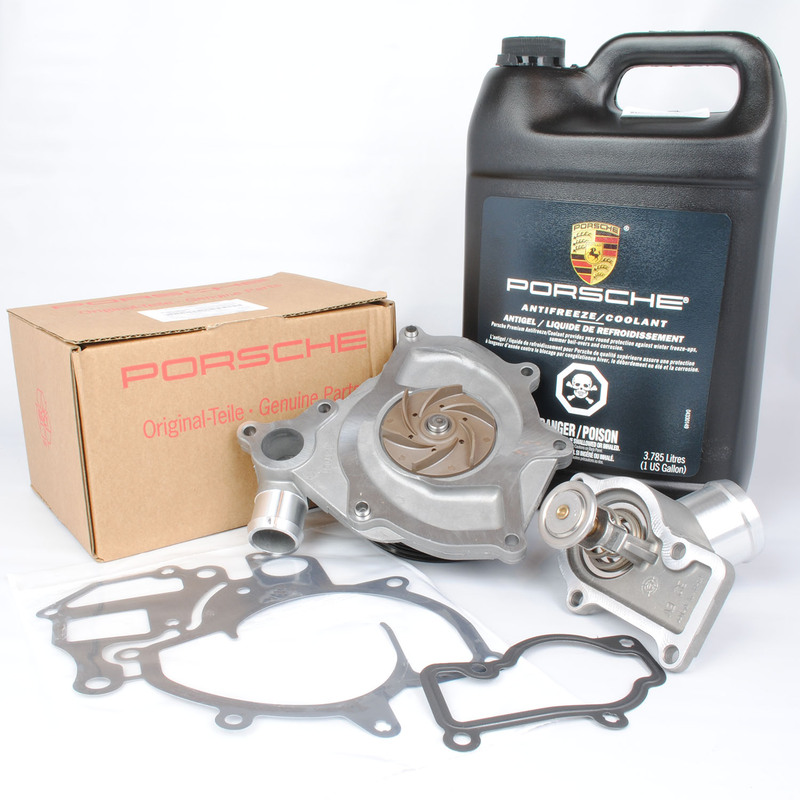 Kit includes Genuine Porsche water pump, gasket, thermostat, thermostat gasket, and Genuine Porsche coolant. *Thermostat is manufactured by Wahler, please choose between the standard 180 degree thermostat or cooler 160 degree thermostat.